Macy's just got downgraded by one of Wall Street's top investment banks, and investors aren't pleased. The company's stock fell more than 3% Thursday (on an up day for the broader market, no less) after Morgan Stanley slapped an "underweight" rating on the stock -- a nicer, jargony way of saying sell. Like most American retailers, Macy's (M) is taking steps to stay competitive in a landscape that's increasingly dominated by Amazon (AMZN) and Walmart (WMT). Macy's has boosted its digital commerce efforts, started to close some stores and sold off some of its real estate holdings. It also posted surprisingly strong profit for the fourth quarter. That has boosted Macy's stock price substantially. Shares are still up 15% this year even after Thursday's drop and have surged nearly 50% in the past six months. But that's part of the problem, according to Morgan Stanley analyst Kimberly Greenberger. She thinks Wall Street has already rewarded the company for some easy, quick fixes. Now comes the hard part. Greenberger is concerned that sales are still sluggish and that Macy's needs to do more to get rid of underperforming stores. "Even though Macy's is closing stores proactively, it may not be doing so quickly enough," she said. Then there's the real estate issue. Macy's has already sold its men's store in San Francisco's Union Square and plans to sell the I. Magnin building in San Francisco that it also owns. Greenberger thinks the only other flagship Macy's property left with significant value is the iconic store in New York City's Herald Square. So Macy's investors should not get too excited about other possible store sales. "Macy's real estate gains cannot continue in perpetuity," Greenberger wrote. Analysts also think that the company still needs to do more to spruce up the stores it doesn't plan to sell. "There is a long tail of shops that look dated, are in sub-optimal locations, and where the customer experience is poor. 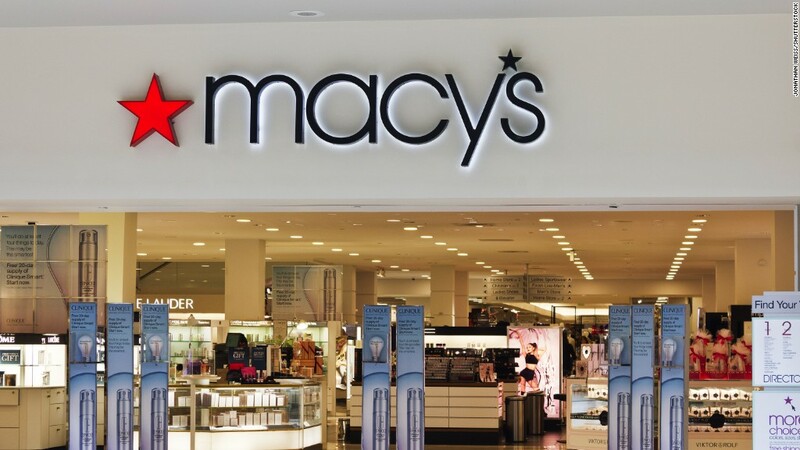 Macy's must remedy this if it is to transform the business," Neil Saunders, managing director of GlobalData Retail, said in a report following Macy's latest earnings in February. Of course, Macy's is not the only department store chain that's struggling. Kohl's (KSS), JCPenney (JCP), Nordstrom (JWN) and Sears (SHLD) are also grappling with poor sales and profit as the shift from physical retail to digital continues. But Macy's stock has done better than all of its peers in the past few months. So when it reports earnings for the first quarter in less than a week -- May 16 -- there will be increased pressure on Macy's to prove that its turnaround is for real, and not a mirage on 34th Street.